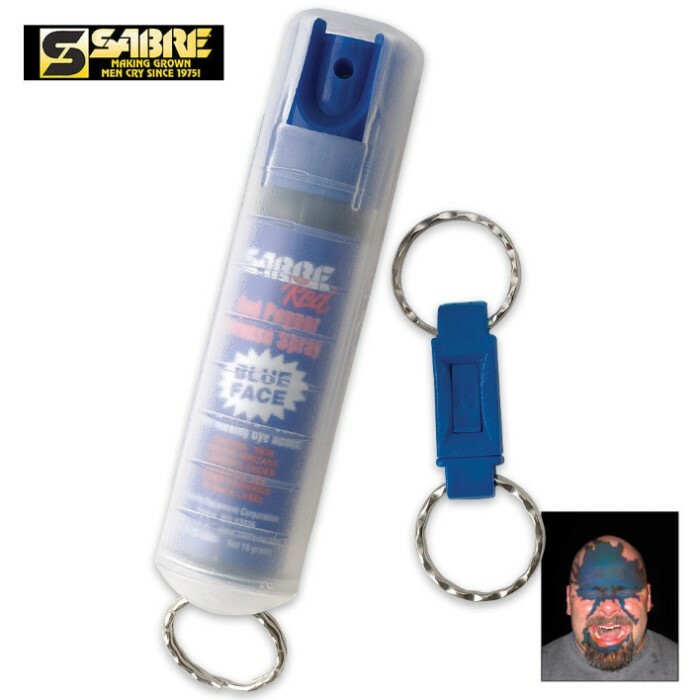 This maximum strength pepper spray not only drops grown men to their knees, but also stains whatever it touches with a blue dye, which is extremely difficult to remove from the skin. It offers an easy identification method for police searching for thwarted attackers in crowded areas. This spray can incapacitate an attacker for up to 1 hour. The effects are immediate and extremely painful. Includes removable key chain attachment for easy carry where ever you go. Heard great reviews on this product. Have not had to use it thank goodness, but I do feel safer and knowing it will leave a mark so they will be easy to find is really cool. The price you just cant beat!! !